It’s no surprise that if you’re serious about shooting 4K videos for professional purposes, you need to be prepared to pay the extra price associated with getting a proper cinema camera that will do the job right. While there are many established brands and models on the market, you can also find other more affordable solutions that won’t necessarily cost you an arm and a leg. 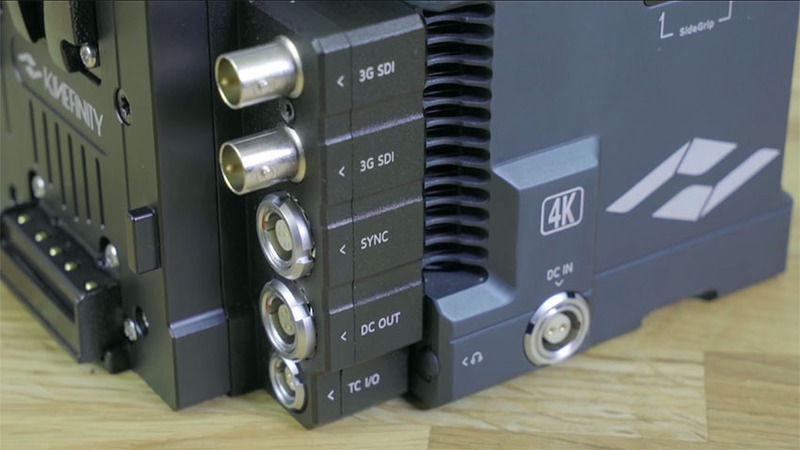 An excellent example in that regard is the TERRA 4K camera of the Asian budget cinema camera manufacturer Kinefinity that promises to bring professional-grade 4K footage at a very reasonable price. 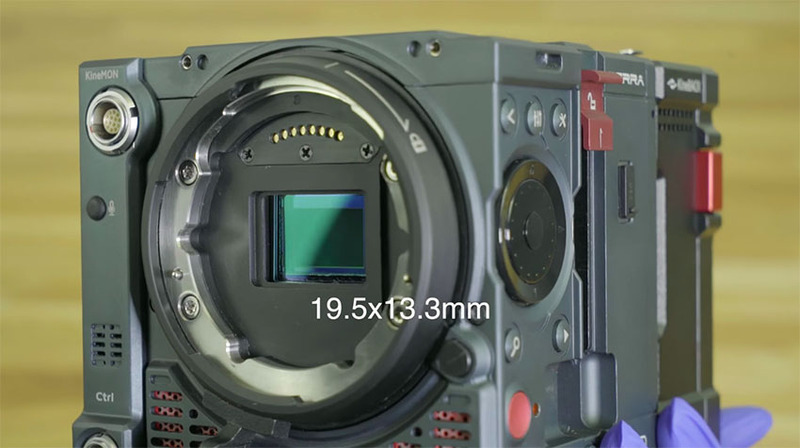 Kudos to German-based filmmaker Michel Juknat of Cineready for sharing his excellent camera overview with the 4K Shooters community in the video below. The TERRA 4K Cinema Camera is part of Kinefinity’s line of small form factor cinema cameras, resembling the appearance of RED’s own line of cinema-grade products. It has a compact modular design with a “titanium grey” finish alongside an array of buttons surrounding the unit, in addition to a scroll wheel on the side that gives users a quick and convenient access to multiple camera settings. For lens mounting, the TERRA 4K provides several mounting options through its exchangeable KineMOUNT all of which can be swapped on the fly. Surprisingly, Kinefinity even offers a Sony E-Mount for the TERRA 4K, allowing you to use your own set of E-Mount lenses with ease. The TERRA 4K sports a sensor that is a bit of an oddity in terms of size; bigger than micro fourth thirds although smaller than a Super 35mm. As frame rates go, this camera can shoot up to 100 frames per second at 4096 x 1720 or 4096 x 2160 at 75fps, making the TERRA 4K a tempting pick for those looking for affordable, high-quality slow-motion capabilities. Regarding recording settings, the camera utilizes both Apple ProRes and Lossless KineRAW, Kinefinity’s proprietary 12-bit RAW recording format. All of this is stored onto 2.5-inch SSDs for fast data read and write speeds. An extra feature included is the ability to upload and use in-camera LUTs so that you could test out different color looks while shooting. The unit comes equipped with Dual XLR Audio Inputs, Dual D-Tap power in ports, Side USB port for software updates and uploading LUTs, DC In and Output, Sync port, HDMI out, and two 3G SDI outs. On the backside of the camera body in the very top right corner, there’s even a protector that shields the optional WiFi antenna port. Additionally, the TERRA 4K has a V-Mount battery plate that’s also available in a Gold Mount version. There are several essential accessories for the Kinefinity TERRA 4K, but one particular that you should definitely consider along with the camera body itself is the Kinefinity’s proprietary monitor – the KineMONITOR. Unfortunately, it’s not touchscreen and you will have to navigate using buttons on the camera body or using the optional Side Grip. The latter includes several shortcut buttons and scroll wheel used for menu navigation, making it easy to change settings along the way. Meanwhile, here’s a quick slow motion test shot on the TERRA 4K camera by the US-based filmmaker Raafi Rivero. Ultimately, Kinefinity TERRA 4K is the latest addition to the TERRA family of Kinefinity’s modular cinema cameras based on different CMOS sensors. TERRA 4K features high-speed 4K CMOS image sensor with Dual Native ISO(3200/800). The 5K imaging sensor is the 5K dual-gain CMOS sensor with Dual Shutter Modes, whereas the 6K imaging sensor is the same 6K wide-color-gamut CMOS sensor found in the KineMAX 6K. All models boast 4K+ resolutions alongside some impressive framerates, wide latitude and appealing form factor that could be a viable alternative to independent filmmakers and small production companies, who don’t necessarily have the budget for purchasing an ARRI or a RED camera. For more information, head over to Kinefinity’s official website.